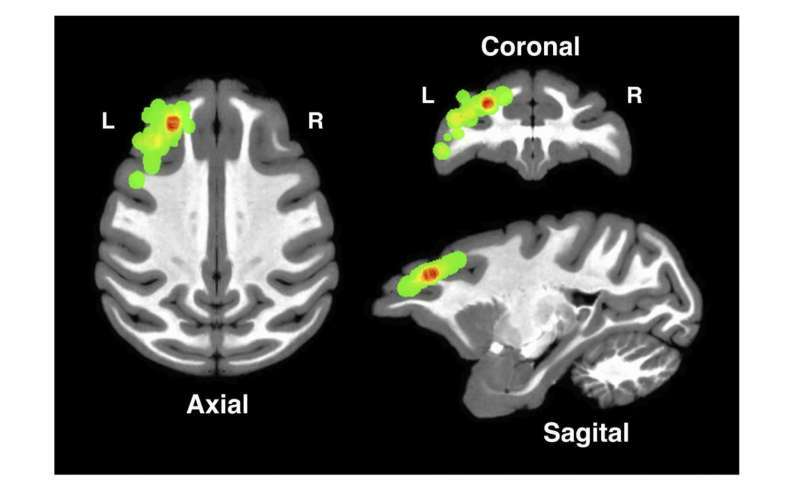 Brain images from different angles show locations in the dorsolateral prefrontal cortex where researchers made their measurements. Credit: Asaad et. al. When you do something right, you can't learn anything from your success without a system in the brain for assigning credit to whatever action led to the desired outcome. 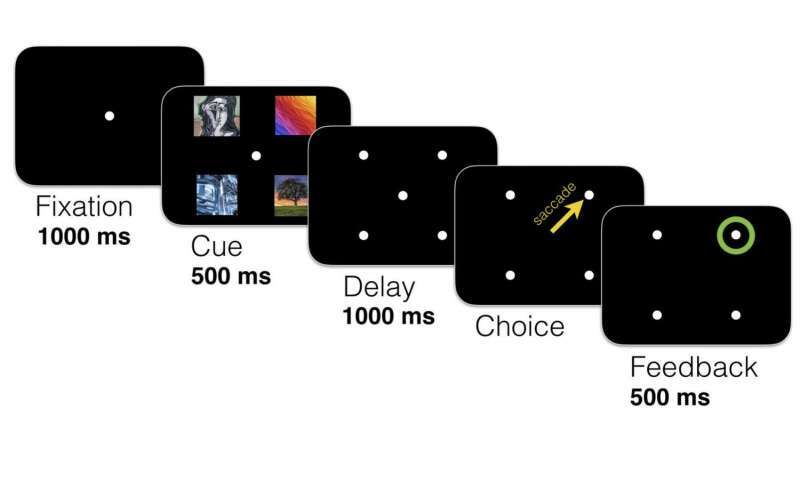 Over the course of about three seconds, experimental subjects saw a 2 X 2 grid of images, chose one and received feedback about whether it happened to be correct. Credit: Asaad et. al.